Looking for the best email hosting provider for your business? Find your perfect match right here with our expert reviews. Find the best rated, hassle free email hosting services for your business today! Small and medium-sized businesses often require email hosting from an outside provider. They typically don’t have their own large-scale, in-house networks like bigger corporations, and may have limited IT staff and resources. It’s far easier to farm out email hosting to dedicated companies as a service, rather than to take on that responsibility directly. But there are many different business email hosting services on the market to choose from. In order to choose the best business email hosting service, it depends on what your specific needs are. Features and functions, storage space, security, customer and technical support, server/mail protocol types, and of course pricing all play a role. Below, we have compared 8 of the top business email hosting services. Bluehost offers business email hosting on a chosen domain utilizing Microsoft Office 365/Outlook. You must have a web hosting plan with them in order to add on the professional email service. There are three service levels to choose from, ranging from a basic plan with only Outlook web access, 15 GB of storage, and basic email and calendar functions, on up to the business pro level, with 50 GB storage, 1 TB OneDrive storage, Microsoft Teams online collaboration, Office online cloud-based software, Office for desktop, MS Access and Publisher for desktop, along with Microsoft’s booking and invoicing tools and CRM software. Plans range from $2.99/license/month to $9.99/license/month depending on desired offerings. HostGator does not offer a separate email plan, but rather offers business email hosting on your web domain as part of a web hosting plan. All three of their hosting plans come with the same email hosting features. This includes an unlimited number of POP3-based accounts, webmail, email alias, auto-responder, mailing list, catch-all accounts, anti-spam, mail forwarding, and IMAP and SMTP features. That’s in addition to all of the other web hosting features on these plans that are already quite generous. HostGator has some of the lowest prices, too, with plans ranging from $3.13/month to $6.73 per month, which might make this one of the best business email hosting services for those on a budget. GoDaddy has a full range of web services, including web hosting, domain registration, and much more. They offer professional email plans as one of those many services. There are three levels of plans, essentials, plus, and premium. The basic essentials plan offers a domain-based email account, 5 GB storage, sync across devices, shared calendars, and up to 400 email aliases, for $1.99/user/month. Advanced security and/or email backup are add-on features that are available for an additional fee. The mid-range account is the same, but offers 50 GB of storage, at $3.99/user/month. The top-tier plan includes the Office 365 suite, 1 TB OneDrive, Microsoft Teams, bookings and invoicing software, Office 365 online cloud-based software, and is fully HIPAA-compliant for healthcare businesses. This plan starts at $9.99/user/month. 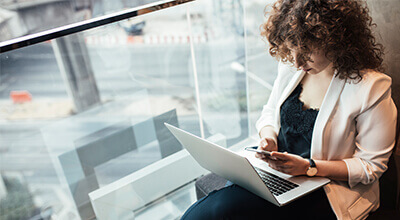 GoDaddy's range of plans and add-on options provides efficient email hosting for small businesses, whether or not you utilize their web hosting or other services. Just Host also has 3 levels of web hosting packages, which include varying levels of business email hosting. 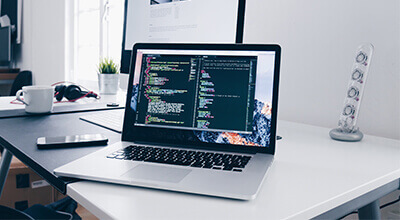 While it may be a bit minimalist and not the best email hosting for business customers who need a lot of productivity software, calendar/scheduling, or related items, for basic email, web hosting, and other features, it’s hard to beat their price or service. The basic plan allows 5 email accounts, the mid-range 100, and the top-tier unlimited. Storage is 100 MB, 500 MB, and unlimited, respectively. For all but the most basic/beginner start-up small businesses, the best choice is going to be the top-tier account. Plans run $3.95/month, $6.95/month, and $6.95/month (that’s not a typo – they currently offer the mid and top-tier plans for the same price). All three of the business web hosting options from InMotion Hosting come with unlimited email, which is a great place to start. They also all have unlimited bandwidth and unlimited storage. So, the key differences come down to what web hosting options you need, including the number of websites/top-level domains and other features you need. Their email uses the IMAP standard, so it’s accessible from any device and can integrate with Gmail and similar programs. Plans run $3.99/month, $5.99/month, and $13.99/month. 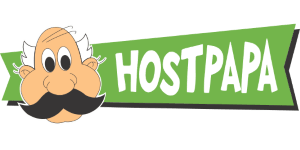 HostPapa is one of the few entries on our list of the best business email hosting services that provide a separate email hosting option, without requiring you to buy a web hosting package. They have four different plans, including a basic email, advanced email, Office 365 and email, and Google/Gmail suite plan. The basic plan has 1 GB storage limits per account and doesn’t include separate file storage or calendar support, but the advanced will handle that, in addition to bumping email and file storage up to 5 GB. The Office plan includes Office 365, 50 GB storage per mailbox, 1 TB of OneDrive file storage per user, unlimited IMAP connections, and shareable calendars. The Google plan offers the same features like the advanced plan, but with 30 GB storage per account, and integration with the Google suite of apps. Prices are $1/user/month for basic, $2/user/month for advanced, and $6/user/month for Google or Office 365 plans. Network Solutions is like GoDaddy in that they offer a range of web services, including email, that does not have to be part of a web hosting package, and can be purchased as separate, a la carte services. They offer three tiers; professional email, professional email plus, and a Microsoft Hosted Exchange server option. All plans will provide basic email functions, as well as have proportional storage, calendar, and other options, with the Microsoft Hosted Exchange including a complete desktop Office Outlook experience, with backups, recovery, and more. For those who absolutely need a hosted Exchange server, this is one of the best email hosting for business options you can find. Plans cost $1.75/user/month, $4.99/user/month, and $8.99/user/month respectively. 1&1, which now goes by the name IONOS, also offers a range of a la carte options and web services, including business email hosting. This comes in three flavors – basic, business, and Exchange. The basic plan is $1/month, offering 25 email accounts, each with 2 GB of space, a free domain, spam filter, webmail, and device sync. The business plan is $5-7/month/user depending on the number of users, with 50 GB per account, a free domain, spam and virus protection, and team collaboration tools. The Exchange option is $6/user/month, with a 25 GB account, domain, virus and spam protection, the Outlook desktop and web applications, and team collaboration tools. What Should You Look for In a Business Email Hosting Service? There are some free business email hosting companies out there, usually as part of free blog-style website hosting. These often only offer a few accounts, and may only have a web-based email interface. Often, they don’t integrate with mobile devices, either, and may not offer any scaling options for additional users. File storage space is also typically limited for free business email hosting. In almost all cases, even a small business of only a few people would be better served by choosing one of the business email hosting options from our list. Having a professional business email that can grow with your business is critical and is worth investing in. No matter what size your business may be, or what your budget may be, there is a business email hosting option for you. Most don’t require any significant technical expertise and are designed to be modular, so you can add or remove users as you see fit. Most offer the standard POP3, IMAP, and SMTP protocols, and integrate with most clients and devices. More advanced options, like hosted Microsoft Exchange servers, are also available, though tend to cost more. 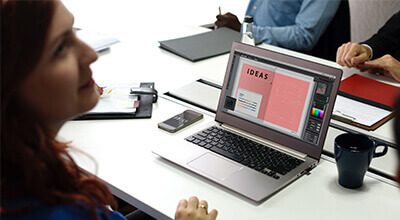 The best business email hosting options presented on our list provide you with 8 great choices to consider, with the overall best ultimately depending on your particular business needs.